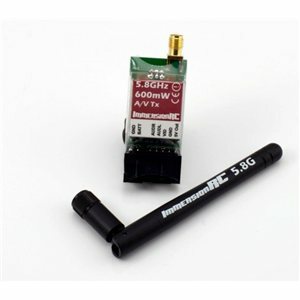 FPV flight was hampered in its early years by the rapid spread of 2.4GHz R/C gear. This equipment caused interference on 2.4GHz A/V links which made them unusable. Size : 50 x 23 x 15 mm.